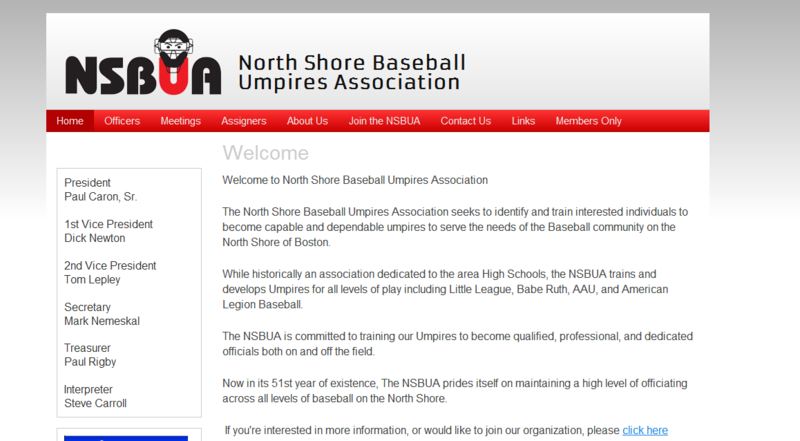 The North Shore Baseball Umpires Association seeks to identify and train interested individuals to become capable and dependable umpires to serve the needs of the Baseball community on the North Shore of Boston. While historically an association dedicated to the area High Schools, the NSBUA trains and develops Umpires for all levels of play including Little League, Babe Ruth, AAU, and American Legion Baseball. The NSBUA is committed to training Umpires become qualified, professional, and dedicated officials both on and off the field.